Reimagining Indonesian cuisine can be a feat, for the real challenge lies in extracting the familiarity of how Indonesian food has been for many, many years, and reintroducing it in a way that honours the real flavours and essence. 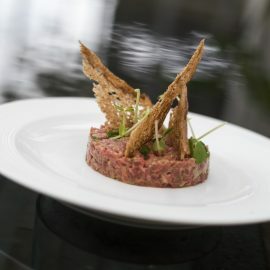 Then, the task at hand is to present that with an added touch of finesse and technique, in order to propel a meal experience that is both unique and recognisable. 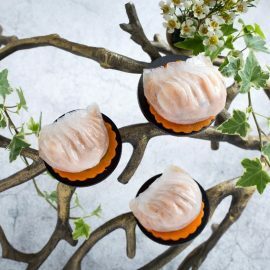 Fairmont Jakarta’s premium restaurant, 1945, establishes itself as an innovative re-imagining of traditional Indonesian food as gourmet cuisine. 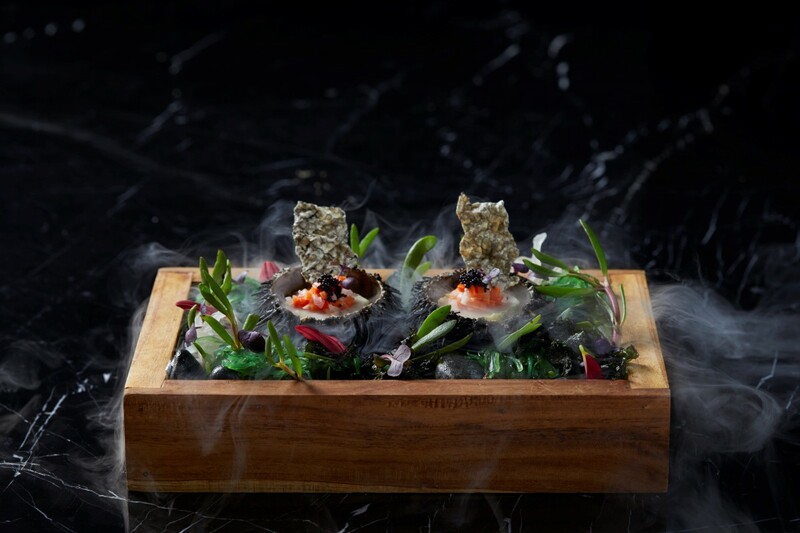 At the helm of the kitchen is none other than Chef Adhitia Julisiandi, who has brought along his culinary expertise to create a menu that is inspired by traditional ingredients yet rendered in contemporary form. Naniura 1945, barrel sliced Ikan Mas and marinated Sea Urchin, with Aromatic Andaliman Pepper Flavour in Tapanuli Style, served with style and flair. 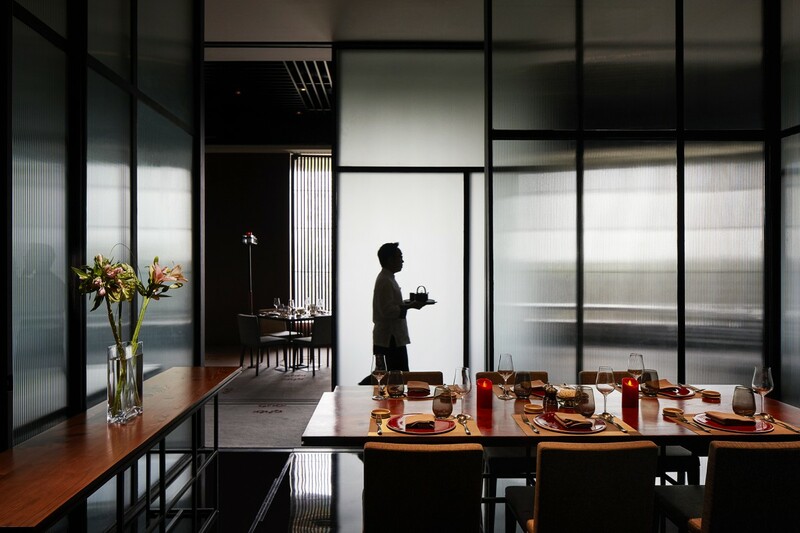 The result is a range of delectable dishes that perfectly capture localities in a world-class culinary experience, further elevating Indonesian fine-dining experience within the beautifully composed interiors of this rare gem of a restaurant. 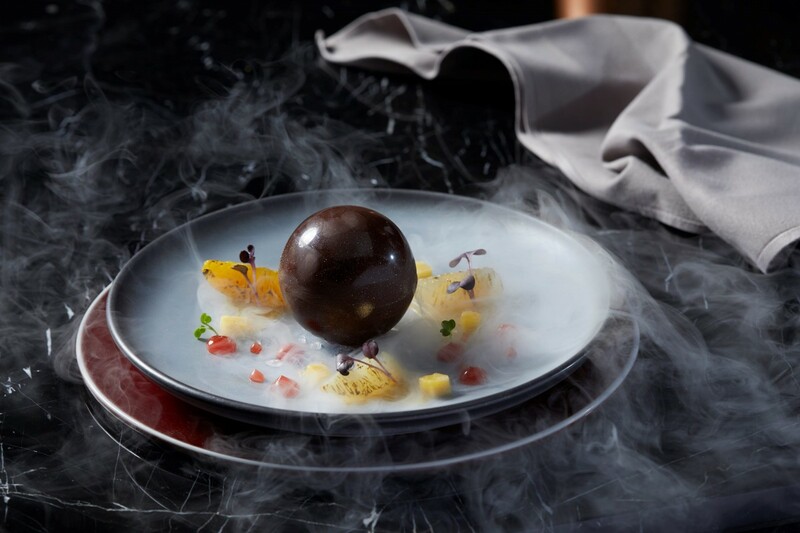 Chef Adhit is known for applying molecular gastronomy technique, a sub-discipline of food science that involves physical and chemical transformations of ingredients that occur in cooking process, which translates into a tease for the senses during one’s meal at 1945. To start, the Naniura 1945 makes for an exciting start to the 1945 dining experience. This dish is comprised of barrel sliced Ikan Mas and marinated Sea Urchin, with Aromatic Andaliman Pepper Flavour in Tapanuli Style. 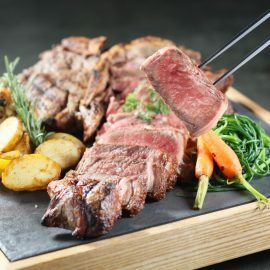 The small portion may not seem like much, but its the perfect introduction to the wealth of surprises that’s about to come your way, gastronomically speaking. 1945 Restaurant offers an intimate space for guests, with partitions that gives each party a sense of privacy, and private spaces that could accommodate your professional or social gatherings. The familiar Cumi Isi Telur contains the expected Char-Grilled Squid, which here is stuffed with Rice, Bean Curd and Kemangi, while served with Gulai Sauce that will be poured in front of you by the staff. Presentation takes a different from here, and you may wonder if you’ve ever tasted a dish such as this before, even when it’s supposed to be quite commonplace. Beef Rendang 1945 takes your favourite Padang menu to a whole other level, not just by way of presentation but also in terms of sensations – again an example of how familiar dishes are elevated into exquisitely flavourful and colourful creations, all courtesy of the kitchen’s alchemy at this particular restaurant. 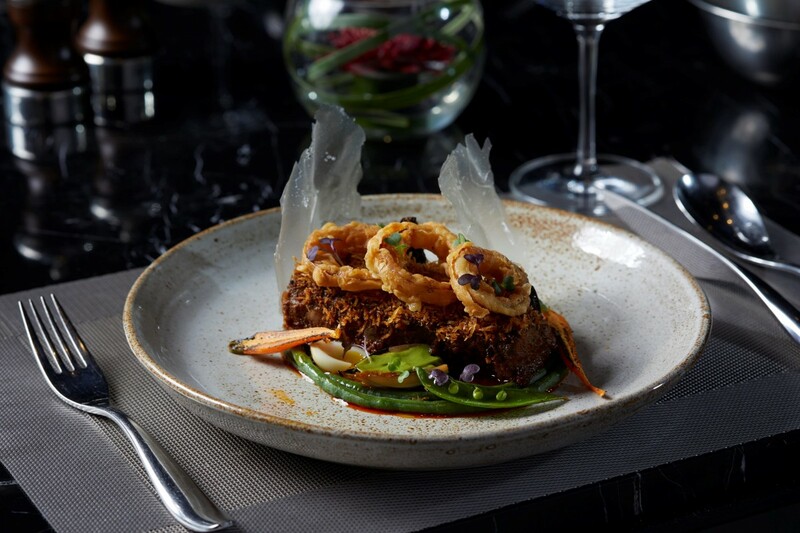 Beef Rendang 1945 is as tender as it is flavourful, as enticing as it is beautiful, and a must try when experiencing this Indonesian fine-dining establishment. 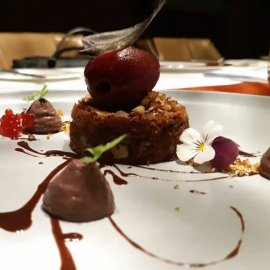 By the time you get to dessert, during which you must try the Bibika Deconstructed, it culminates the dining experience at 1945 with a touch of sweetness and creativity, all an embodiment of the old and new, as well as the common and the unexpected from Indonesian cooking. Experience the magnificent fine dining experience of authentic Indonesian food at Fairmont Jakarta’s 1945. For reservations, call +622129703333 or email diningreservations.jakarta@fairmont.com.